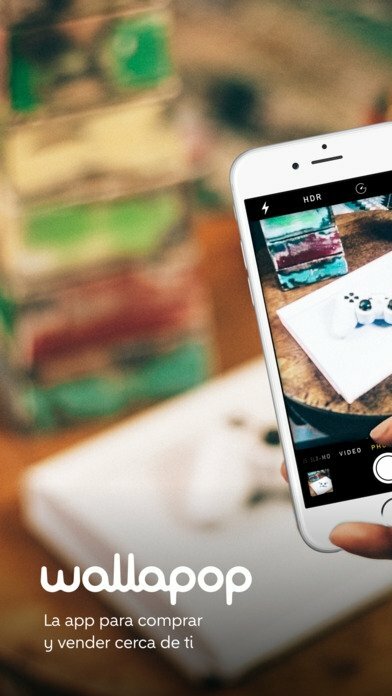 iPhones and Android smartphones have become the perfect platforms to encourage the purchase and sale of second-hand items between particular users. Thanks to apps of the likes of eBay (although the latter is about online bids and auctions), loads of different apps to buy and sell second-hand products have appeared and ended up replacing classified adverts in newspapers, even though the latter still survive on the Internet thanks to certain services. 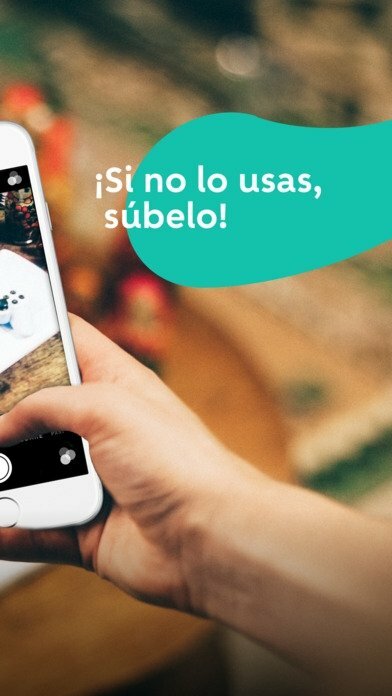 One of the applications that's having the most success and that you probably already know because a mate of yours already uses it or because of its very eye-catching adverts, is definitely Wallapop - Buy & Sell Nearby, an application with which we can get rid of anything we no longer need or use, and buy whatever we fancy adding to our collection. Looking or an app to purchase or sell a second-hand car? Want to get rid of your old PC? Trying to flog off your furniture? No longer going to wear that lion costume? 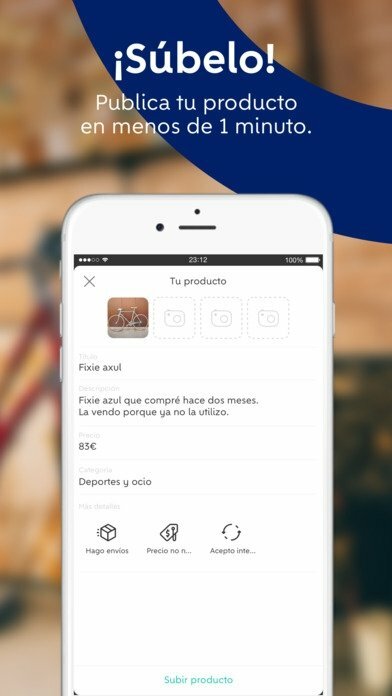 Well, it doesn't matter where you live because thanks to the Wallapop's geolocation function it's capable of finding nearby buyers as well as vendors that offer exactly what you need. 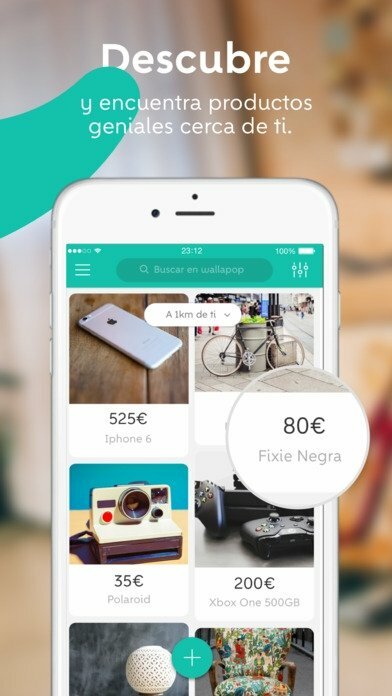 To get to know how Wallapop works, you've only got to open the app and take a look at all the offers available. With a quick glance, you'll see that all the adverts are sorted by geographical proximity, therefore, if you're a hunter of random offers, you'll be able to find almost anything nearby. From an Android phone or iPhone to a wardrobe: find whatever you're looking for. You'll obviously have to configure a user profile whether you want to purchase or sell. If you want to buy a product, you only have to go to the item and talk to the vendor by means of the app's internal chat system. On the contrary, if you want to sell something, just take a photo and fill in a few basic details to describe it and classify it. Buying and selling system between particulars based on meeting and arranging a price. No shipping expenses or additional costs. 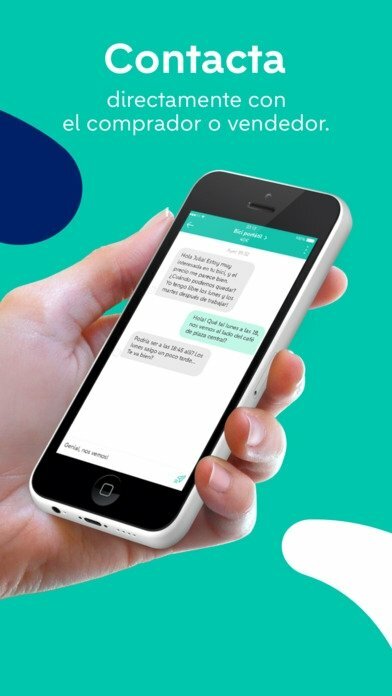 Built-in chat system so users can get in touch. Quick publication system: you'll have your item online in less than a minute. The app's heading changes its color to white.